UPDATED: Sat., Dec. 16, 2017, 2:19 p.m.
TULSA, Okla. – Five Native American tribes that own an Oklahoma site where the U.S. Department of Homeland Security intends to conduct bioterrorism drills next year now oppose the government’s plan, saying the agency didn’t inform them about chemicals it plans to release on grounds the tribes consider sacred because more than 100 children are buried there. 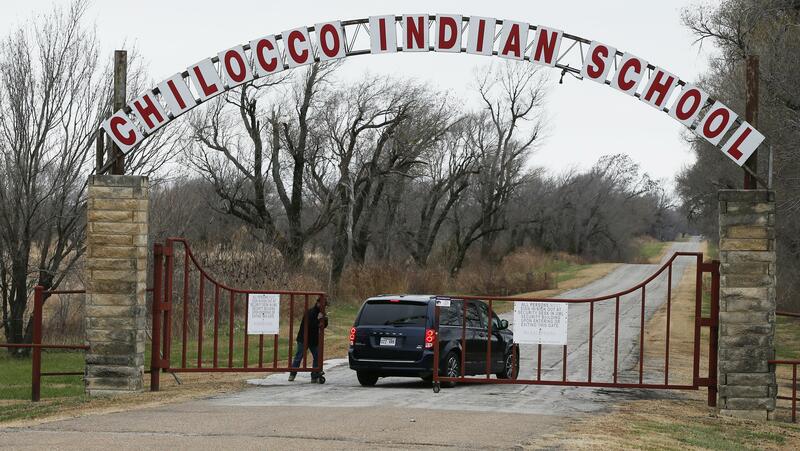 The Oklahoma-based Council of Confederated Chilocco Tribes is made up of five tribes that jointly own what’s left of the former Chilocco Indian Agricultural School outside Newkirk where the testing would be conducted. The Chilocco school, which operated from the late 1800s until 1980, was one of several federally run boarding schools where the U.S. once sought to assimilate Native American children. The tribes say the federal agency is failing to protect a site with religious and cultural significance. “Often when a child died at the school, the family didn’t have the money to bring the body home, so they were buried at the school cemetery,” said Heather Payne, a spokeswoman for the Otoe-Missouria Tribe. Many of the graves are unmarked, she said. The site, about 100 miles northwest of Tulsa, near Oklahoma’s border with Kansas, also is on the National Register of Historic Places. Homeland Security is leasing the site to conduct drills that it says will help it determine how authorities can best clean up after a bioterror attack and how much chemicals might penetrate buildings. But the tribal council issued a statement this past week opposing the testing. The tribes say the substances the government plans to release are “potentially dangerous,” though Homeland Security has insisted they’re harmless. The other tribes that are part of the council are the Kaw Nation, Pawnee Nation, Ponca Tribe and Tonkawa Tribe. Homeland Security spokesman John Verrico declined to comment on the tribe’s statement until the agency finishes reviewing the more than 300 public comments it has received on the project draft. The government announced plans for the bioterror drills in a legal notice last month in Newkirk’s weekly newspaper. Many residents found out about the plans after the editor of the Newkirk Herald Journal decided the notice buried in his 900-circulation paper was front-page news. About 9,000 people from the farming town and surrounding communities, including Arkansas City, Kansas, just across the Oklahoma border, signed a petition seeking more information from Homeland Security. Dozens showed up at community meetings, demanding answers. Scientists say the cluster of buildings at the Newkirk site best resemble single-family homes and commercial buildings in any U.S. city. Homeland Security said the chemicals it wants to use are found in common household products such as sunscreen, cosmetics and laundry detergents. One chemical that’s caused the most worry, especially among the many farmers who live nearby, is called DiPel, a biological insecticide that’s been commercially available since the 1970s and approved for use in organic farming. The Homeland Security project manager has said the chemicals won’t pose harm to humans, animals or hundreds of acres of nearby cropland and pasture. But the tribal group and some residents aren’t convinced. Newkirk resident Brian Hobbs, a 40-year old construction worker who’s helped organize opposition to the testing, said the five tribes’ opposition could make the difference in whether the government goes through with the tests or abandons its plans. “It doesn’t matter how many signatures we had, to have them come here and be unified like that, it must be pretty egregious and serious to get all five on the same page,” Hobbs said Friday. Published: Dec. 16, 2017, 2:19 p.m. Updated: Dec. 16, 2017, 2:19 p.m.